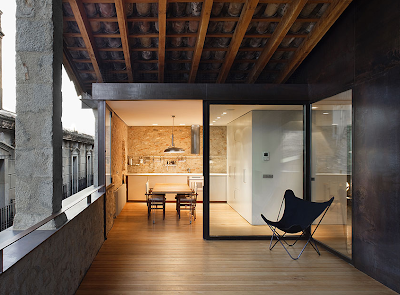 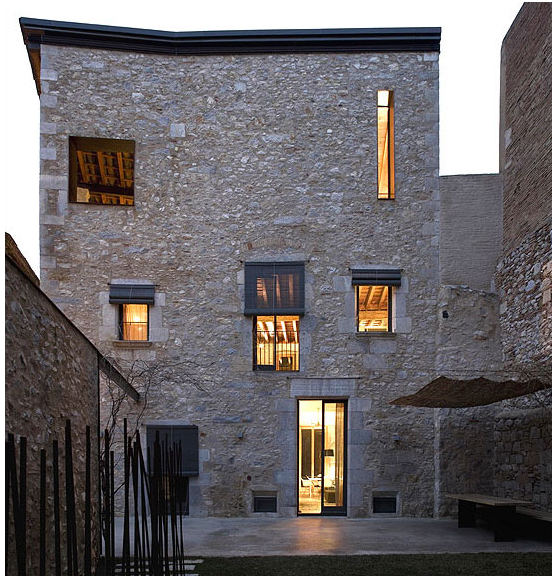 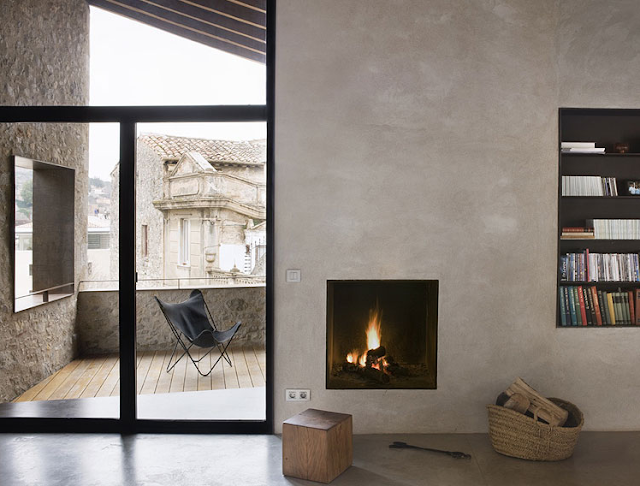 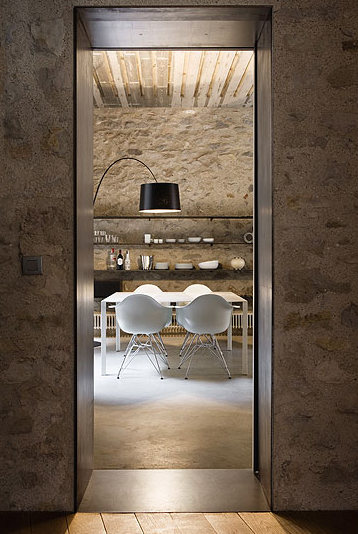 ALEMANYS--This award winning apartment residence in the heart of historic Girona, Spain, just north of Barcelona, has been awarded many architectural prizes for adaptive re-use. 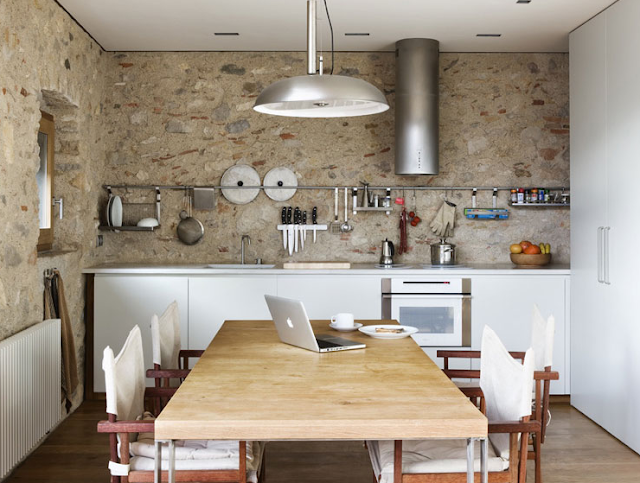 The home is now a vacation spot for Barcelona-based architect Anna Noguera and her husband. When family is not in Girona it is rented out. 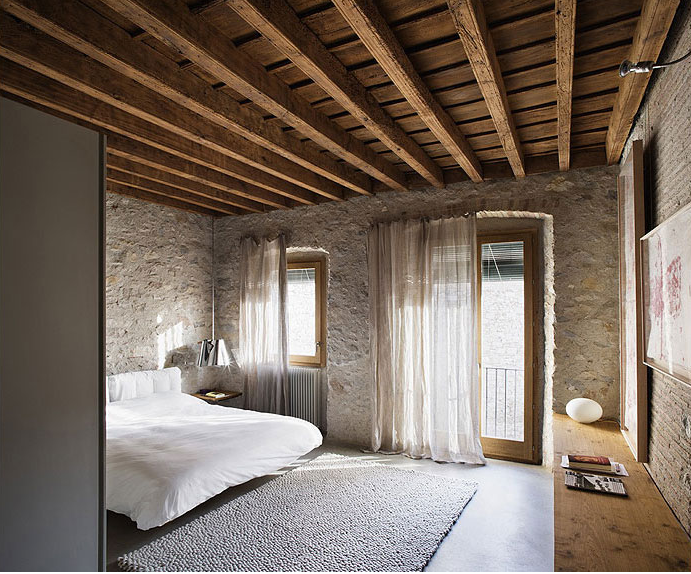 Interior design by the architect. Exquisite project, ...especially the wall resurfacing and floor treatments.